This system is a breakdown of skills required before moving on to the next level. Levels are labeled by the colors of horse show ribbons. The most advanced level is the blue level followed by the red, then yellow, then white, and finally pink. 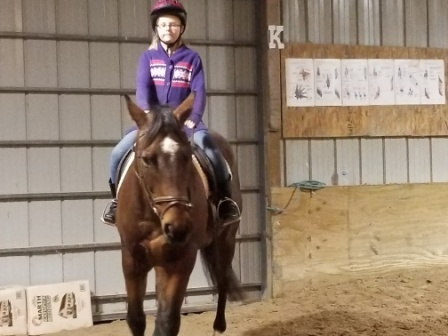 While the lower levels learn to groom, lead, pick feet, tack up, mounting, dismounting, stop, turn, circle, back, walking, trotting and various other basic skills, riders progress to the levels requiring more knowledge abilities such as learning parts of the saddle, bridle, and horse. 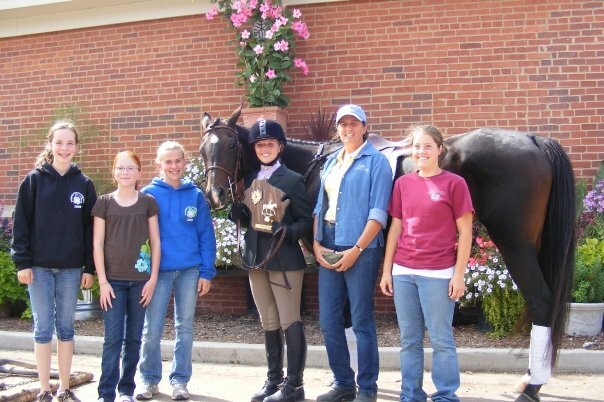 Intermediate rider skills include trotting without stirrups, cantering, learning leads and diagonals, low jumps, lunging, and various knowledge skills such as types of hay, saddle pad styles, pasture fencing, show attire, grain types, and more. 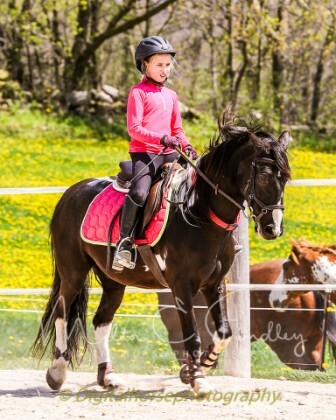 Advanced riders jump full jump courses of 3' or more, execute patterns, turns on forehand, side passing, smooth transitions, emergency dismounts, and can ride a lower level dressage test well. Top level riders learn how to feel diagonals and leads, can ride both stock seat and hunt seat, can sit extended trots and have had exposure to skills such as sheath cleaning, putting together a first aid kit, understanding uses of blankets and horse boots, and various horse health issues such as colic and founder. Students also learn about bits, leg yields, and jumping cross country jumps such as ditches, logs, and coops.